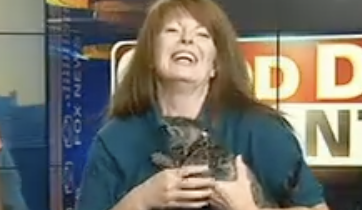 This Kitten Literally Flips Out During Live News Broadcast. The Result Is Hilarious! Anyone who has spent time around kittens knows how rambunctious, playful, and amusing they are. 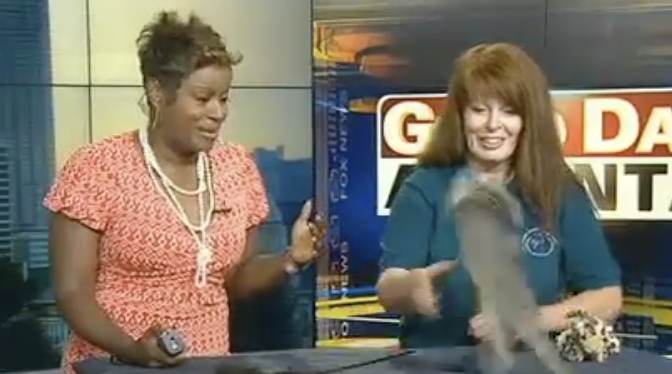 The internet is full of videos showing cats behaving crazy and this kitten on a Fox 5 Atlanta’s pet of the day segment can join their ranks. Mister Meowgi is an adorable little domestic brown tabby kitten who got his name because he tends to meow a lot. 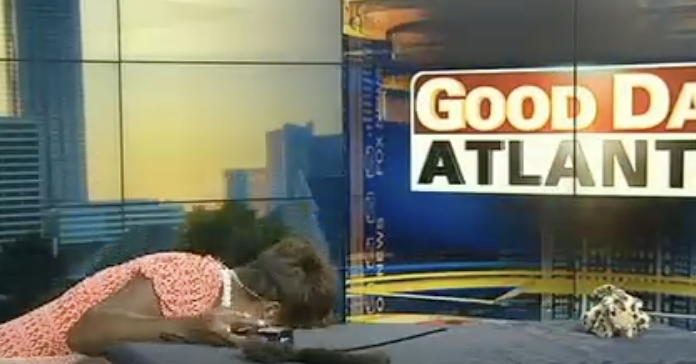 He was being featured on the live newscast because he would soon be old enough for adoption at the Humane Society of Cobb County. While he was on air he took full advantage of the spotlight and showed the audience what he can do. 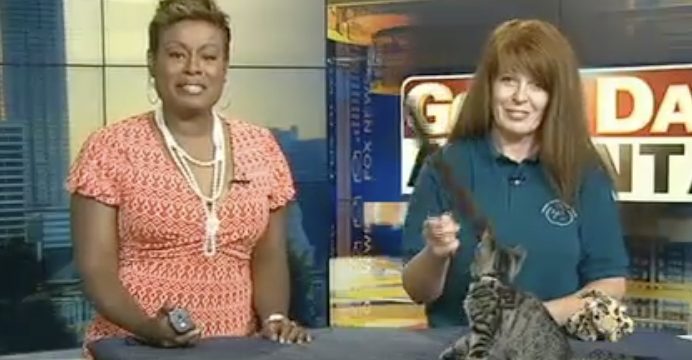 News cameras captured Mr. Meowgi performing an intricate and perfect series of back-flips off the news desk he was playing on. He had been entertaining the ladies he was with, before the shot went live, by enthusiastically attacking and playing with a furry tailed wiggle toy. Apparently the toy was too exciting for him and he had to ninja flip away from it. While the women tried to catch him as he fell, he was simply too evasive for their slow reactions. Don’t worry though, like most felines, he landed on his feet. 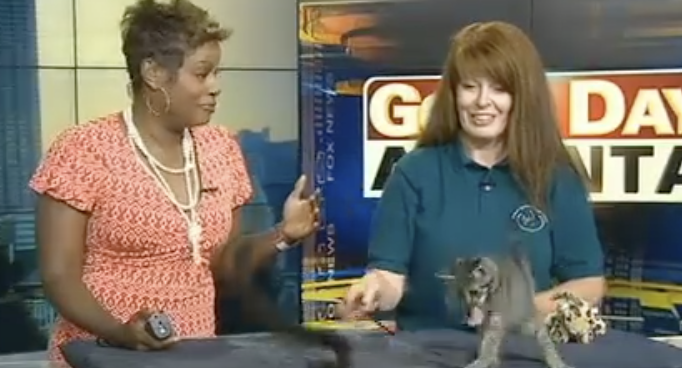 At that point his human companion decided it was best to pick up the little guy and hold him for the rest of the segment. Even though he was secured in the woman’s arms he was still feeling amped up, judging by how he chewed on her clothing and shirt collar. 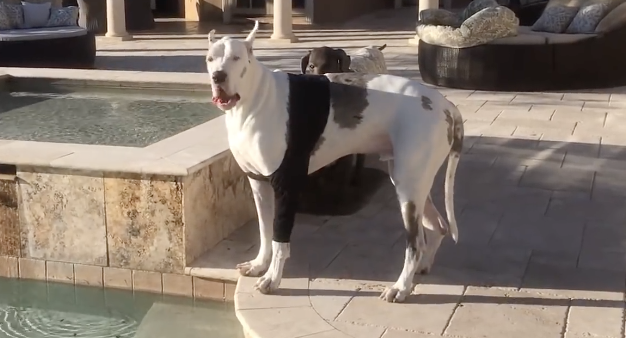 Videos like this brighten people’s day, raise a smile, and hopefully make them think about adopting a furry friend to share their home and life with. There are millions of adorable cats, dogs and other animals all over the world that need help and every donation of food, toys, blankets, time, and money helps. If you are thinking of getting an animal companion don’t buy them from pet stores, adopt! 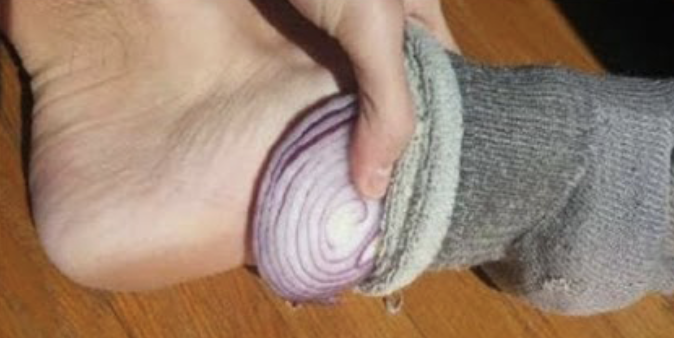 If You Put Cut Up Onions Inside Your Socks While You Sleep THIS Happens! 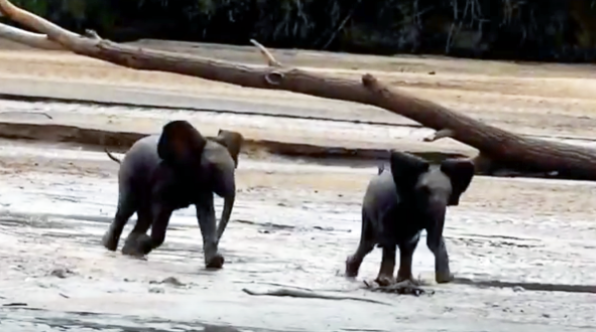 Two Baby Elephants Wandered Off and Got Lost. 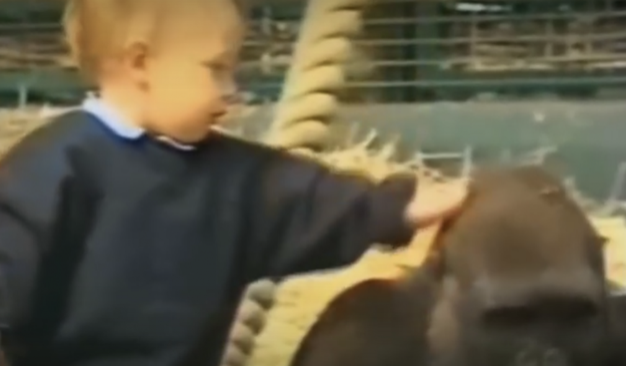 Their Reaction When They Find Mama Is Priceless! THIS Horse Tries To Jump Over A Ditch For The First Time But What Happens Instead Is Hysterical!